What style of Photography do you do? My look and feel tends to range from quirky to elegant to vintage and my shooting style is relaxed, candid photojournalistic mixed with classic bridal portraiture. Candid wedding photos offer a relaxed approach to your wedding photography, the style is natural and timeless. The photojournalistic feel will tell the story of your day and document the details that you’ll want to remember forever. Your wedding day is about you, not about me telling you what to do and when to do it. We will discuss the timeline of the day and I will of course guide and direct you on the day, but I will be relaxed and flexible with everything. Firstly job satisfaction. Yep that’s basically it! I feel that wedding photography satisfies me the most. Weddings are incredibly fun and filled with so much happiness and laughter. I’ve photographed hundreds of weddings over the last 10 years and while each one has been unique, they are always happy occasions. I smile all day long and end up with sore cheeks at the end of each one! Wedding photography pushes me to be better and I’m always challenging myself with new styles and techniques. But most of all, wedding photography allows me to document an incredibly personal and emotional event in peoples lives – and to be asked to be a part of that, is so very special. Will you be the person shooting my wedding? This question is crucial to ask any photographer you meet with! Many couples meet with a studio manager experienced in sales techniques and are very clever in their “pitch”. Before you are swayed by the glossy sales pitch and million dollar studio, ask to meet with the photographer that will be shooting your wedding and view their work. Look at a whole wedding, not just their “featured” images. Also as your photographer will be with you for the entire day, make sure you get along well and feel comfortable with them. The last thing you want is to only meet your photographer on the day of the wedding and find that they are controlling or unprofessional. If you don’t get along, it will show in your images. When we do your engagement shoot, we all get to know each other and have a bit of a bonding session. It’s great fun and you get to see how we work and interact. This session is so valuable in breaking down barriers and helping you to feel comfortable in front of the camera and with your photographer, so when your wedding day comes around, we pretty much continue where we left off and you enjoy your day from start to finish. It will depend on your coverage, but you will usually end up with 600+ images or approximately 100 images for every hour of coverage. When can I expect to see my wedding images? You will receive your wedding images within 8-10 weeks from your wedding date. It’s always usually within 8 weeks. You will also have an online Gallery available to view 2-3 weeks after your wedding. This will feature at least 150 images from your day that you can share with family and friends. You simply tell us your favourite photos and we will design an album based around them. You get to proof the design online and then we just make changes until you are totally happy with it. Once the album has been designed and approved by you, the album will take approximately 4 weeks to be handmade by my amazing printers. Full time – or if there is a word for more than full time that would be it. I eat, sleep and breathe photography. My life is always seemingly hectic and super busy with being a mum and running a home based business, but I wouldn’t change it for anything. Unfortunately no. I specialise in still photography only but can recommend some fabulous videographers though, so just ask. Do you shoot with film or digital cameras? I shoot with high end Canon Digital SLR’s. I like to make this fun for everyone involved. If it’s 40 degrees in the shade, we will get the shots as soon as possible and get you back into cool air in around 45 minutes. If it’s a gorgeous day and we are all having fun, then an hour to an hour and a half is perfect. Just remember to factor in travel time. I want to get you back to your family and guests so you can party the night away with them. Can we give you a short list of family photos we want? You can give me a list of family photos you want, but it is best to give the list to someone who knows all your family and friends. Someone who knows everyone and can “wrangle” them together for each shot you want. As we don’t know anyone except yourselves, we would be wasting a lot of time trying to work out who belongs in each photo. I offer discounts at random times throughout the year, so keep an eye out on my Facebook page and website. Are you willing to customise a package if none of yours fits our needs? Absolutely, just send us an email with your requirements and I will do our best to accommodate you. I sure do. Packages range from $750 – $1,250. Absolutely. I hold full $10m in Public Liability which is now required by most wedding venues. Always choose someone whose work you love and someone who you truly feel comfortable with. If you get along and love the look/feel of their images, you’ll have a fun, relaxed day and most importantly, amazing images. Price is only secondary and photography is a major investment. After all, when your wedding day is over and everything is packed away, all you have left are your photos, so please choose wisely. It is best to keep clothing simple, avoiding logos or busy patterns. For kids, layers, textures and fun accessories like hats work well. Wear clothes that represent you and who you are. The most important thing is that you are comfortable. For family and/or kids sessions: outfit changes, a drink, favourite toy, special stuffed animal, bubbles – anything they love and will help create some lovely natural shots. Please make sure your little one has been fed and had a nap before the photo session for a more comfortable and positive experience. The actual session itself usually lasts and hour to an 1.5 hours. I am usually booked 6-9 months in advance all year round so it’s best to get in early. Simply call or email your interest, letting me know when you would like to book a photo shoot and the type of session you are looking for. A 30% deposit is required to secure your booking. The balance is not until your images are ready for delivery, being 4-5 weeks after your session. Approximately 4-5 weeks after your session, I will have your images fully processed and on a USB. Your USB will usually consist of at least 60+ print ready images. The photos will be high resolution, professionally edited, colour corrected if need be and a few supplied in black & white. I will usually post a sneak peek of the session on my Facebook page within a few days of your session. You will receive a Print Release for all of the images on the USB. This allows you the freedom to have all the pictures from your session and organise your own prints through any photo lab. I charge a one-time flat rate for your session at a location of your choice. No additional sitting fees or charges are added. The pricing quoted on my website includes the photo session on location or at your home, travel Sydney-wide (within 50kms from Penrith), a USB containing all of your images with a Print Release allowing you to share and print the images in any personal capacity. The location of the photo session is up to you. I specialise in natural light photography and therefore don’t have a studio. I can meet you at any outdoor location of your choice. Once your session date is booked, we will discuss what style/feel you are looking and then work together to come up with the perfect location. Newborn sessions are held within the comfort of your own home. Do you only offer the photos on USB or do you offer prints? My standard Digital Collection includes all of your fully edited, print ready, high resolution images on USB. If you are interested in having prints made I am happy to assist you with that. There are two Collections that also include premium flushmount albums using a selection of your favourite images. 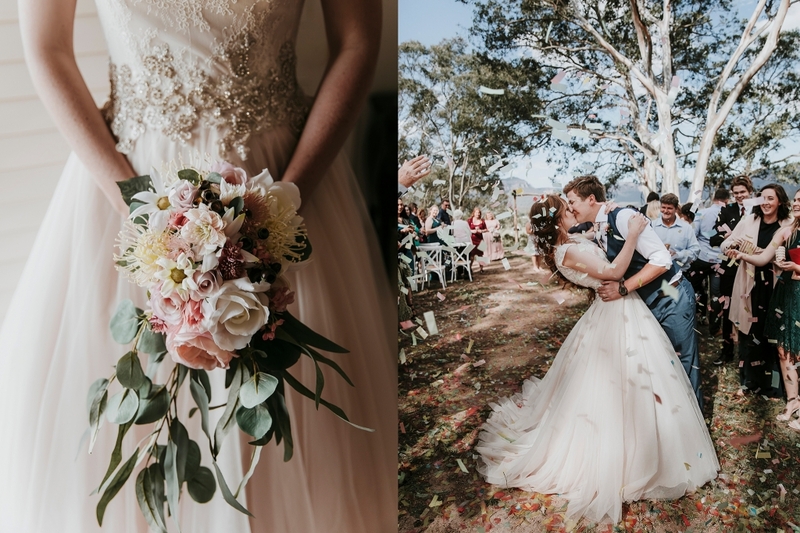 If you have any questions about any of the above, please call or send me an email at info@clarityphotography.com.au. I would love to hear from you. Thank you!